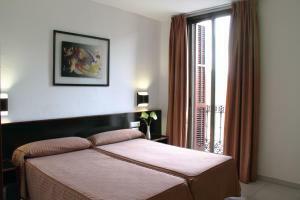 Situated right on the corner of Plaza Catalunya and Las Ramblas, Medium Monegal boasts a fantastic central location. 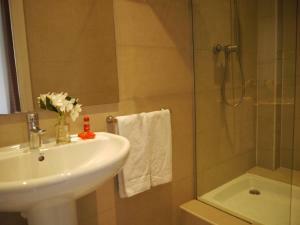 It offers good-value rooms with free Wi-Fi, satellite TV and air conditioning. 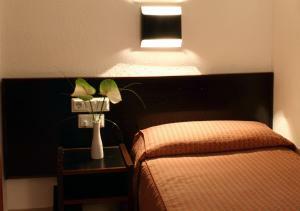 Staff at Hotel Monegal’s 24-hour reception can provide information about what to see and do in Barcelona. There are also car rental and luggage storage services available at the front desk. From the Monegal you can walk to Barcelona’s Gothic Cathedral and the modernist Palau de la Musica Auditorium in around 7 minutes. Gaudí’s La Pedrera and Casa Batlló are both within 20 minutes’ walk. 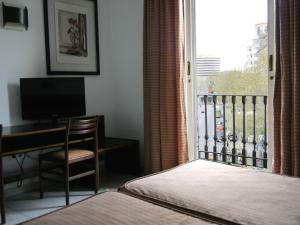 Buses to and from the airport leave from the other side of Plaza Catalunya, 200 metres away from the hotel. Please note that a safe is available at the extra cost of € 3 per day. 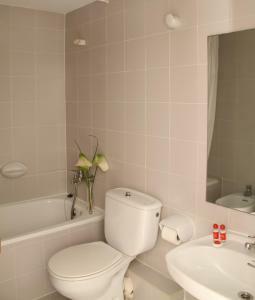 This air-conditioned room has simple, attractive décor and comes with free Wi-Fi and satellite TV. Rate: € 128.33 ... € 154.83; select dates below to get current rates. 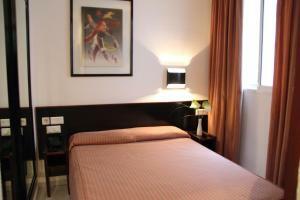 Rate: € 85.00 ... € 174.00; select dates below to get current rates.